I recently had an opportunity to discover the new fiber offers from DMC called Color Infusions that we now have in the DMC Fibers Store below. These new fibers can add color, texture and an interesting dimension to your paper crafting. 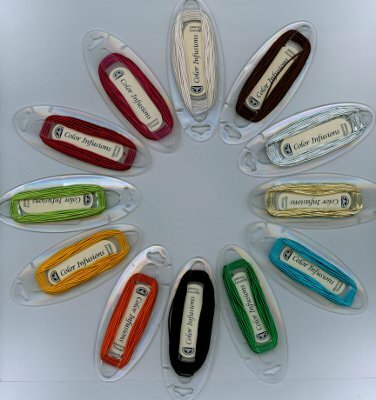 They come in 4 different types of fibers and 36 different and beautiful colors, each one packaged on a clear plastic shuttle that keeps the fibers neat and organized. There is a hole in the end of the shuttle that allows you to clip them together on a chain, or ring. 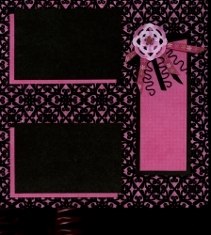 Since the Color Infusions are acid-free, fade resistant and color-fast, they should be perfect for scrapbooking, card making and paper crafting as well as the uses such as cross stitch and crochet. 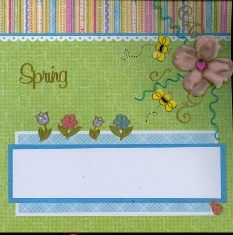 Above are 2 Layouts using all supplies (except the silk flowers) from the Personal Shopper April 2010 kit from Paper Wishes.com using the DMC Memory Thread now available from our DMC Fibers Store. A close up of the DMC Memory Thread in Turquoise used to make the tendrils from behind the flower. 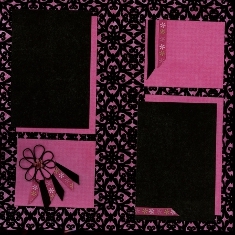 Two more layouts using items supplied with the Personal Shopper Kit from Paper Wishes.com from April 2010, including the DMC Memory Thread in Black. The Tendrils for these flowers were made by wrapping the Memory Thread around a pencil or any small tubular object. 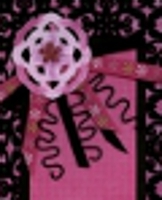 Slide the wrapped fiber off the pencil and flatten out to adhere to the back of the flower. 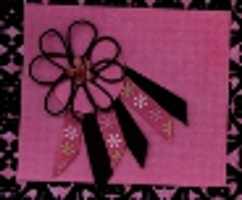 Close up of the DMC Memory Thread in Black used to make the actual petals of the flowers. No tools required here, except agile fingers. These are just a few ideas to use these wonderful Threads and Fibers from the DMC Fibers Store. I hope you enjoy these as much as I do. The photo below shows all 12 colors of the Memory Wire. Starting at the top with the White, then going counter-clockwise to Fuchsia, Red, Light Green, Yellow, Orange, Black, Green, Turquoise, Gold, Silver, and Brown. The photo below shows all 8 colors of the Sikly Threads that come with 5 yards each on the shuttle. Starting at the left with the Pink, Almond, Apple Green, Red, Royal Blue, Lavender, Lemon, and Aqua. Note that each of these shuttles or bobbins has a hole in the top which is great to load them onto a ring to keep track of them. Each shuttle also has a slot to put the end of the thread in to secure it from unraveling. 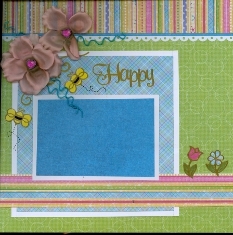 Spirella is a great Embellishment to use the DMC Sparklers Thread.